I have always loved John Frieda products; my mum has curly hair and swears by their Frizz-Ease range. She’s also a hairdresser (and a good one at that – she used to work in Harrods), so that fact that she believes in their products cemented the fact that they are of a high quality. So when I received an email asking if I would like to test out and review some John Frieda products, I jumped at the chance. After chatting about my hair type and colour with the PR team, we concluded that the Go Blonder range would be ideal for my hair – I have dark blonde hair that is often referred to as ‘caramel’ blonde. It’s silky, wavy and rather fine. It does have a tendency to frizz – I guess I must get that from my mum’s curly hair. 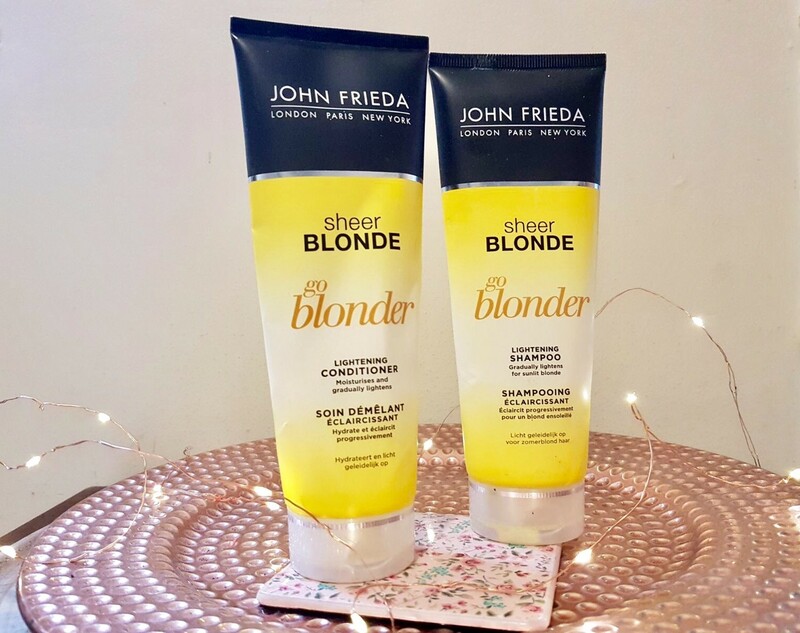 I’ve always wanted to lighten my hair slightly, but I’ve never liked the idea of dying it, so the John Frieda Go Blonder Lightening Shampoo and Conditioner seemed like the perfect solution. Especially as John Frieda use an ammonia and peroxide free formula that slowly reduces colour pigments in the hair, gently lightening it, creating a subtle, sun-kissed look. The Go Blonder range is suitable for all blonde hair, including both natural and coloured hair (both dyed and highlighted). 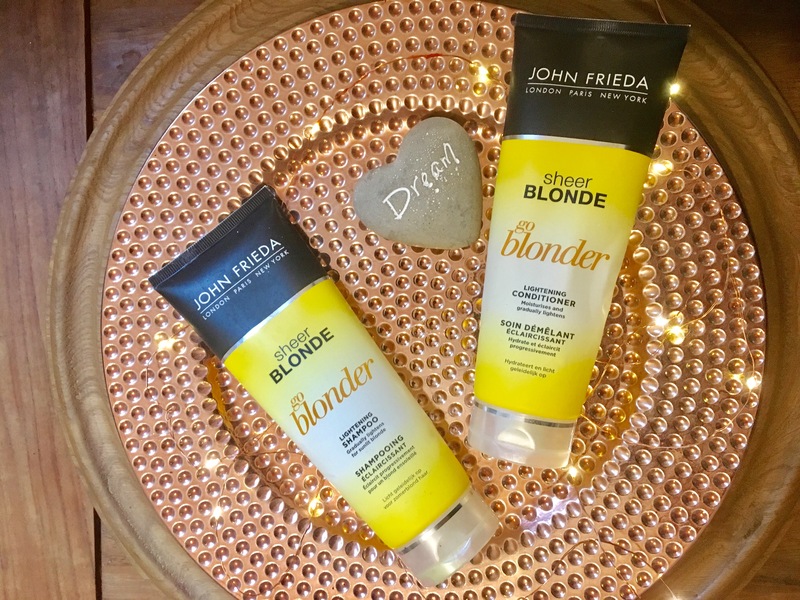 John Frieda has recently updated their packaging for the Go Blonder range, and I have to say I love the new look of the bottles. The matte black top of the design adds a little extra luxury to the look of the products and makes the packaging look sleeker and more elegant. What did I think of the products themselves? The first thing I noticed about the shampoo and conditioner itself was the smell; I love the refreshing scent that these two products have. I also love the fact that it leaves my hair smelling wonderfully fresh for upwards of two days – best of all, it’s not an overpowering smell, just a subtle scent. I wasn’t sure whether the Go Blonder Lightening products would visibly lighten my hair or whether it would be too subtle. 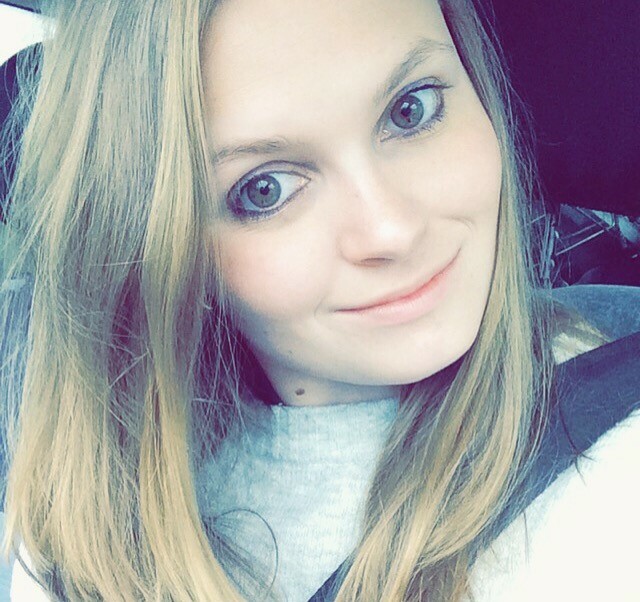 However, after just a week or using the shampoo and conditioner every other day, I began to notice a difference – my hair was visibly lighter, it was subtle but noticeable. After just a month of use, my hair was noticeably lighter again, and people started to notice, asking if I had highlights done. Two months on and my hair is lighter again, and I am so in love with it. I had heard that the Go Blonder products can make your hair go slightly ginger, however this wasn’t something that I experienced. My hair is caramel in colour and naturally has some red in it, which could be why I haven’t noticed a ginger tinge to my hair. Priced at £6.99 a bottle, you could argue that the Frizz Ease Go Blonder Lightening Shampoo and Conditioner are overpriced. However, you get a lot of uses out of these bottles; I’ve been washing my hair every other day for a month with these products and still have plenty left. The shampoo lathers really well and goes further because of this, while the conditioner is so silky and smooth, meaning that a small amount goes a really long way. If the two bottles of product cost £13.98 together, and you wash your hair four times a week, it works out at just under 8 pence per wash – that’s for long hair, for shorter hair you could easily half this price and double the amount of washes. I’m really pleased with the results from the Frizz Ease Go Blonder Shampoo and Conditioner. My hair is two shades lighter, with a subtle sun kissed look – it looks like I’ve been on holiday abroad or got subtle highlights. What I love about these products is the fact that they are so moisturising – these are all I’ve used on my hair for the past month and my hair is wonderfully soft and smooth. I will definitely be purchasing these two products – from now on they will be my go-to shampoo and conditioner.